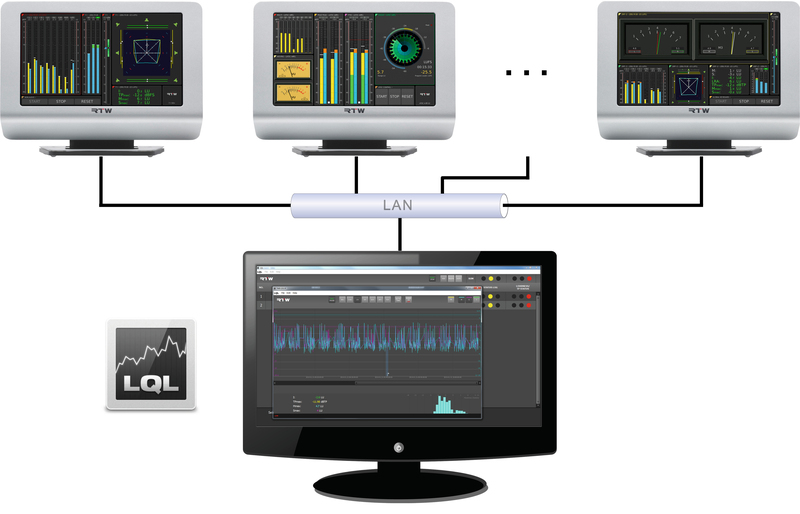 Die innovative Loudness-Quality-Logger-Software ist kompatibel mit den Geräten der TouchMonitor TM7, TMR7 und TM9 Serien. 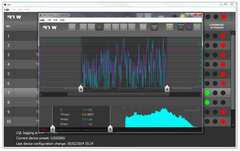 Wenn die Geräte der TouchMonitor TM7, TMR7 und TM9 Serien jeweils über die Logging-Data-Server-Lizenz SW20014 verfügen, können Loudness- und TruePeak-Daten direkt über eine IP-Verbindung von der kostenlos erhältlichen LQL-Software erfasst und ausgewertet werden. Zweistufige Grenzwert-Definition, Status-Informationen und das Setzen von Markern zur Neuberechnung markierter Abschnitte sind weitere Eigenschaften der Software. COLOGNE, GERMANY, 24 FEBRUARY 2014 — RTW, a leading vendor of visual audio meters for professional broadcast, production, post production and quality control, is pleased to announce that it is now shipping worldwide the new LQL – Loudness Quality Logger software. Developed for logging, true-peak data analysis and reporting, the LQL is compatible with the TM7, TMR7 and TM9 TouchMonitor line of products running with Logging Data Server license (SW20014). The LQL is a natural extension of RTW’s range of innovative software options for the 7- and 9-inch line of TouchMonitor audio meters. Once activated, LQL enables measured Loudness and TruePeak data to be derived directly via an IP-connection from a capable TouchMonitor audio meter, as well as from external storage media such as a USB stick. The software also includes dual limit weighting, status information, marker and various other reporting features. 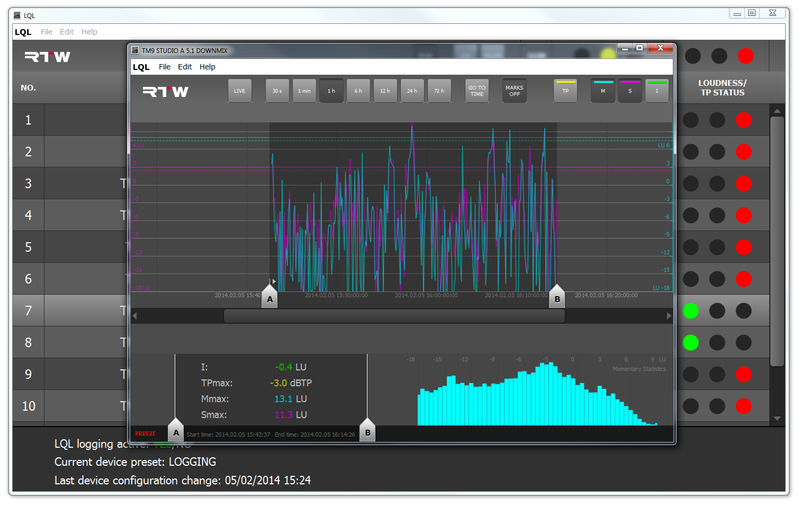 The new PC software is free of charge to users; however the SW20014 Logging Data Server license is required to enable a TM7, TMR7 or TM9 series meter to be compatible with data export and additional display functions. For more information, visit www.rtw.de, www.rtw.com, www.facebook.com/rtw.de, or call +49 (0) 221 709130.